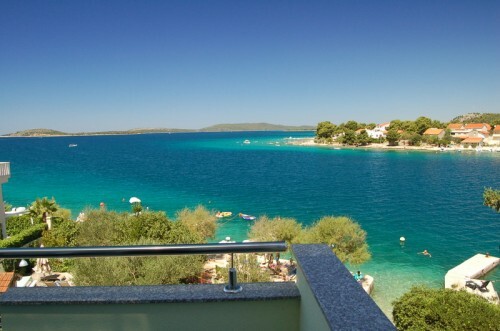 Apartment is located in small and peaceful village Zaboric, 10 km south of Sibenik, 14 km north of Primosten and 3 km far away from Brodarica and Grebastica. 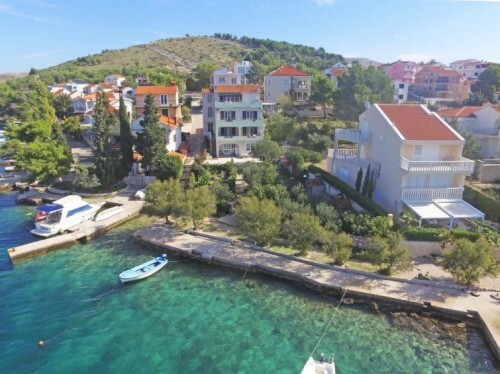 Zaboric is a small tourist destination consisting of family houses and pensions, that lies in the bay on a part of the coast that is well-indented. 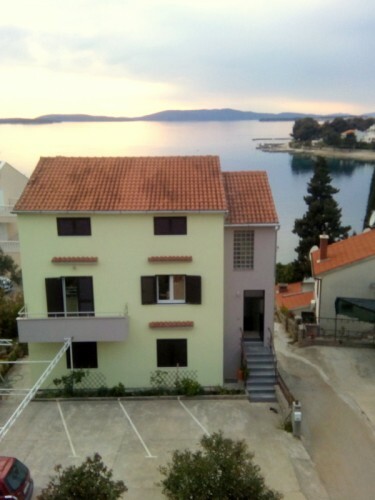 Apartments are placed 2o m faraway from sea. 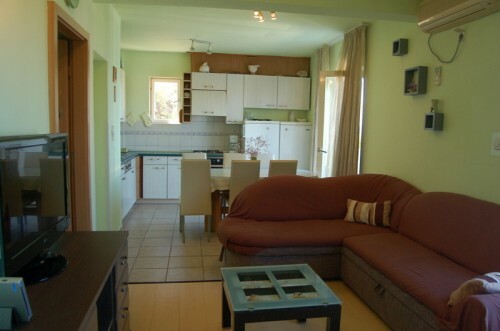 Apartments are for 5-6 persons with 2 bedrooms, 80 m2 in beautifull house with huge garden. 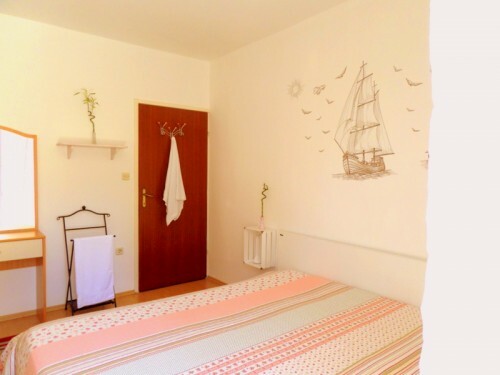 The place is ideal for a peaceful family vacation, especially for families with kids. In garden you have extra chairs, table and shower. Parking place is included and you have place for a boat. 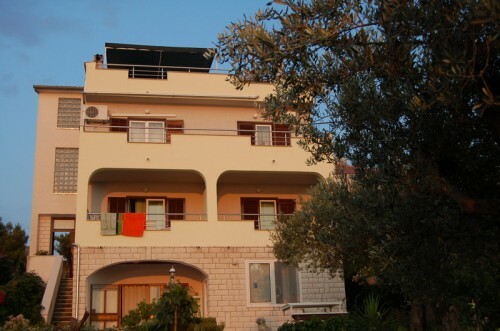 Accommodation details – Apartment is a 3-room at 80 m2, on the second floor, living room / dining room with 1 sofa bed for 2 people and terrace. 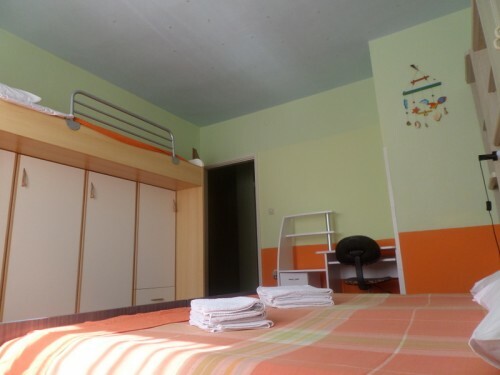 1 room with 1 double bed (180 cm) with a terrace; 1 room with 1 bed (90 cm, length 200 cm, on the floor), + double bed (180 cm). Open kitchen (4 hotplates, 3+1 gas, electricity, oven). Tax are included. Place for a boath. Huge garden with extra chairs, table and open shower.